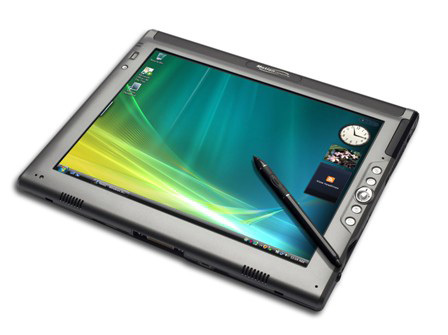 The Consumer Electronics Show (CES) 2010 was an even that finally saw many tech companies launching the Tablet PCs. It was finally good to see many manufacturers out with their version of the newest form factor. The icing on the cake being the presence of an Indian tech start up among the best names of tech world in that list. With laptops, netbooks and smartphones already offering most of the functionality expected in a tablet, it seems there is still a gap in the market somewhere. Many people want the portability of a cellphone, but with increased computing power. For many others tablet PC may just mean glorified e-reader or glorified touchscreen smartphone. So was 2010 the year of the tablet PC? We will look at three of the tablet PCs that were launched at CES 2010 which created a lot of buzz. The Adam has been developed by an India based startup called Notion Ink comprising six IITians and an MBA. On first glance it looks like a widescreen version of the iPod touch. It’s based on the nVidia Tegra T20 chipset and supports 1080p Full HD video playback, has integrated Wi-Fi, Bluetooth and UMTS/HSDPA and an innovative Pixel Qi transflective display. It works on the Android UI. And the user gets all this for around US $300 (Rs 15,000) Although most of the products were on the higher end of the price spectrum, Adam can be had under Rs. 15,000. So will this be a game changer in the tablet PC market. Lenovo’s Ideapad UI touchscreen is a concept that turned around many heads at CES 2010 due to its unique form factor, which works even when detached. It is a hybrid in the sense that it works as a laptop and also as a standalone tablet when the 11.6 inch screen is separated. As a laptop it runs on a Core 2 Duo CULV processor with Windows 7 and has a 128 GB SSD drive. But when the display is detached, it becomes a stand-alone Linux tablet PC with a 1 GHz Snapdragon ARM processor having 16 GB flash memory. These features come at a hefty price of around US $1,000. ICD showcased the 15.6- inch Vega and a 7-inch Ultra. The Vega has a 1366 x 768 resistive touchscreen working on a 1 GHz nVidia Tegra T20 chipset like the Adam. It comes with a 32GB SSD and the connectivity options range from Wi-Fi, Bluetooth with optional 3G and HDMI, a device that is market ready. For the Tablet form factor to be accepted, there are two schools of thought. We have convergence evangelists, for whom smartphone with internet capability is the ultimate device. But others feel that the limited screen size of a phone seriously hampers the whole user experience when dealing with media playback. So a Tablet is a device that tends to bridge that gap of portability and user experience. With Apple slated to announce its iSlate also, looks like it's a farewell to keyboards.